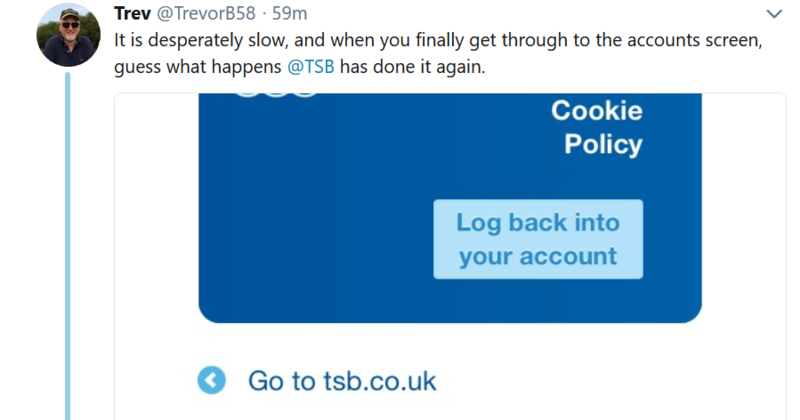 TSB has been hit by banking issues again as customers have reported problems accessing their accounts. The bank adds that this is unrelated to the mobile app update which took place overnight. None of these problems are new in the UK. As reported last month, Lloyds’ banking app crashed on 23 June leaving customers unable to log in. On Twitter, TSB, Halifax and Bank of Scotland – all part of the Lloyds group – also reported similar issues. This all follows the events in April, when TSB’s migration to new systems caused chaos with online and mobile banking. For over five days customers could not bank remotely and reported multiple problems with their accounts and transactions. Last week, The Bank of England, Prudential Regulation Authority (PRA) and Financial Conduct Authority (FCA) were calling on banks and firms to up their A-game and give feedback on operational resilience.